The first science fiction film in history was released at 1902 (A Trip to the Moon, written and directed by Georges Méliès), since then the Science-Fiction genre evolved steadily, thanks to modern computers generated imagery and our own technological evolution. In the last 20 years a huge amount of amazing science fiction films emerged, to the point that the cable channel owner NBCUniversal created a dedicated channel for Science Fiction (SyFy). In this article you’ll find my top 10 Sci-Fi movies from 2000-2010. Great Special effects, Simple story, big cars shooting and fighting, what more do we need? Jim Carrey and Kate Winslet are ex-lovers who have their minds wiped to forget about each other. Even if it’s a great film, for me the Science-Fiction part is too small. After the fail of Star Trek Nemesis in 2002, paramount pictures stopped producing Star Trek films for nearly 8 years. Thanks to J.J. Abrams, they were able to revive the Star Trek franchise with finally a new approach and some good special effects. They did a little Star Wars move, by going back in history (The beginnings of the well-known captain Kirk and his crew), instead of going further in the future. The final episode of the Star Wars franchise was much better than its two predecessors were. The first 40 minutes (Epic space battle) and the final light saber duels (Anakin vs. Obi-Wan and Darth Sidious vs. Yoda) are among the best scenes of the entire six movies. Avatar was a real surprise, when out in the cinemas, the Special Effects and 3d where so well integrated into the actors scene-play, that it felt real. Avatar provided us with a Sci-Fi Space Medley of Dances with Wolves and Pocahontas. 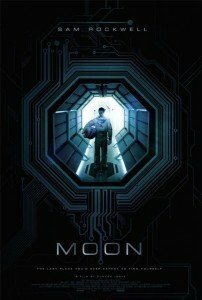 In 2009 the notion of a film being unique seems unlikely, but that is what moon feels like. E.T didn’t make it to the list? Surely that is one of the biggest sci-fi movies ever made. You can so much add Prometheus to your list (which is great btw), I know it is not in the box office yet, but it will be an amazing Blockbuster. I saw the trailer at the IMAX it was just mind blowing!